Muthu Kavitha is a very smart and cheerful girl. She is just 7-year-old but has been through some really hard times. Her smile and her energy tell us how strong she is. 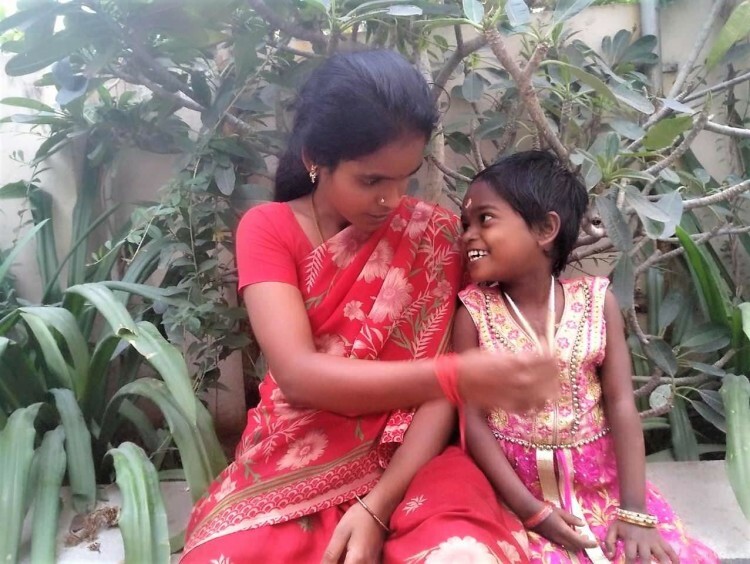 When her parents were beginning to be hopeful of her future, she was diagnosed with heart disease for the second time, leaving the family in despair. Muthu Kavitha is the eldest daughter of Manikandan and Manimalai. They were on cloud nine when she was born. The parents were determined to give the best of everything to her. All their dreams were shattered when she turned 6-months-old. Muthu lost weight drastically and her body was swollen. Her parents were terrified and rushed her to the hospital. Tests confirmed that she had heart disease. 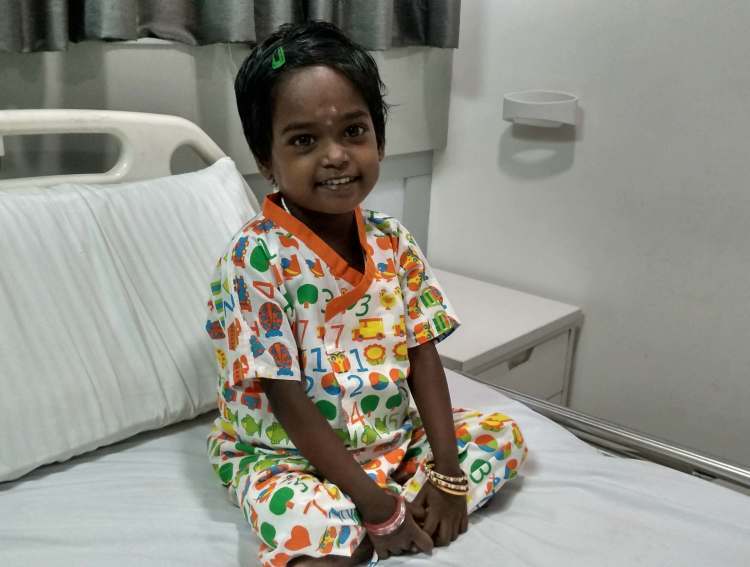 Doctors said she needed a surgery to survive.They were devastated and did not understand how her little body would endure a heart operation. They forced themselves to come to terms with reality and tried everything possible to arrange money for the surgery. After borrowing from everyone - they had finally made it possible. 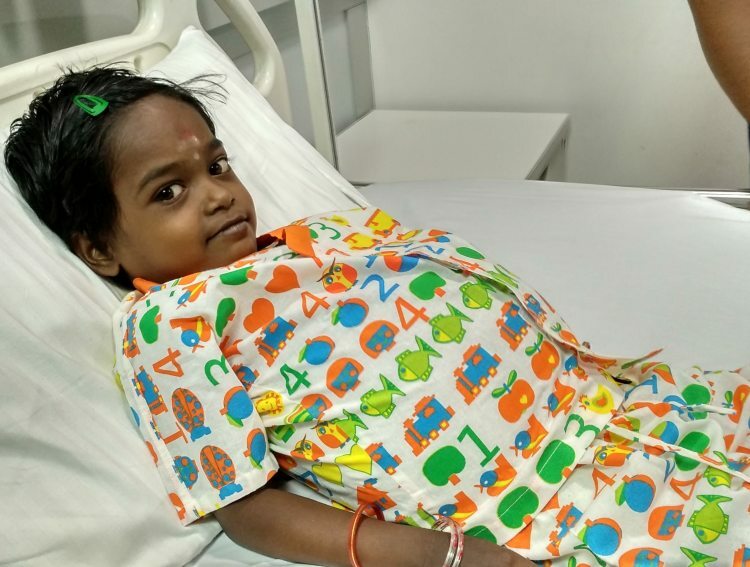 They got their daughter the surgery that would give her back her childhood. Even the doctors gave her a clean chit. But the parents somehow continued to feel anxious about Muthu's health. When Muthu began to go to school, they had finally started to dream about her future. They were happy to see their daughter learning her lessons and being very active. Unfortunately, their happiness did not last long. Muthu began to have the same symptoms that her parents dreaded. She started losing weight and her body would swell up. They heard the horrible news again. She still had heart disease and needed an urgent surgery to survive. "I can't believe that my daughter has to go through this again. I don't understand why God is punishing her again and again. What did she do? Her face and stomach will suddenly become swollen and she'll begin to cry. Once, she collapsed on the floor unable to bear the pain. She is a very intelligent child, but I have stopped sending her to school. She cannot sit for a long time, she becomes tired." - Manimalai. Muthu takes medications every day and has become weak. She has a 7-month-old younger sister Lakhsmi. She is waiting to play with her. Despite the pain she goes through, she manages to be patient and cheerful. She listens to her parents and is hopeful that she can be back to school and play with her sister and friends after the surgery. Manikandan works in a rice mill. He never expected to face this situation in his life. He has not yet fully come out of the debts he incurred for her first surgery. He lives a hand-to-mouth life. He works day and night to support his family. He feels that he has to start everything from the scratch. He doesn't know whom to turn to for help. He hardly eats or sleeps. He has have been running to everyone he knows, asking for help. "I have very little time in my hand. I don't know how I'm going to manage this. I can't digest the fact that my daughter's life is at risk. She needs to get the surgery and this is running through my mind all the time. How can I even think of having food when my daughter is fighting for life? I can't imagine losing her. I saved her for the first time, she trusts me that I will not let her down. She deserves a life." - Manimalai. 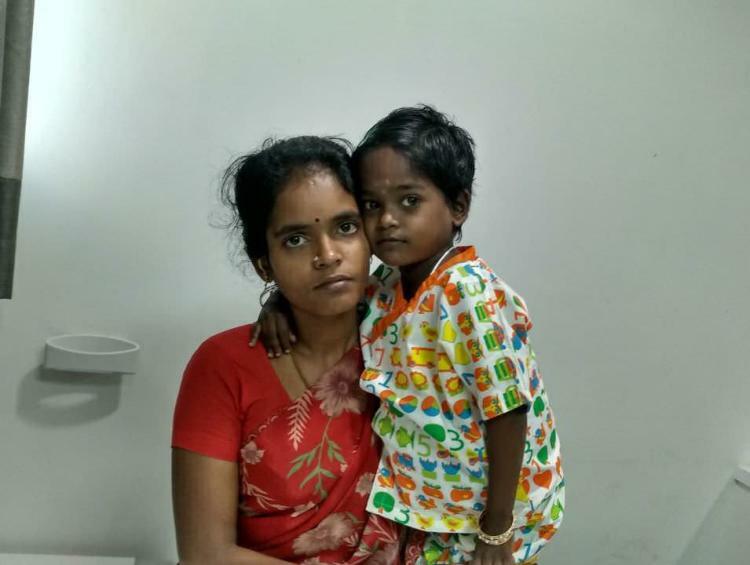 Muthu Kavitha is from a village in Ramanathapuram district and has come all the way to Chennai for the treatment. 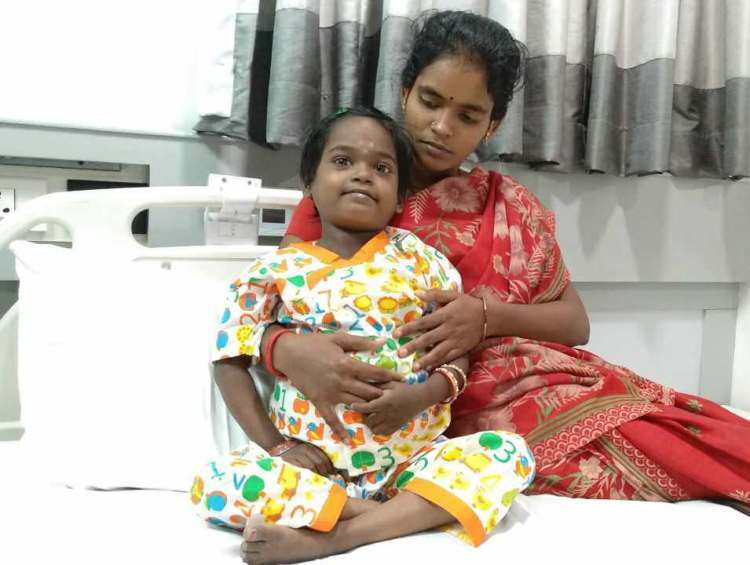 Her parents are worried that they might not be able to save her life due to lack of funds. They have very little time on hand, but the funds they need are beyond their means. Manikandan earns Rs 300 per day and he is the sole breadwinner of the family. With his meagre income, he is supporting his family. 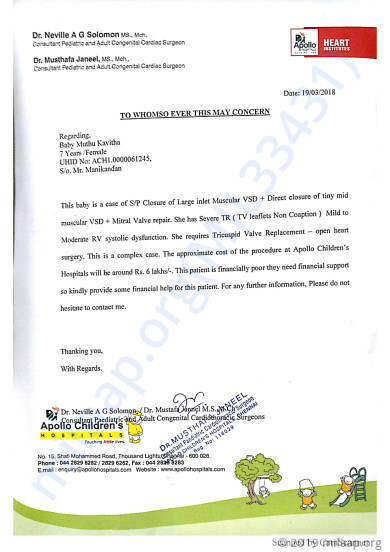 The surgery requires Rs 6 lakhs. He has exhausted all his savings and is neck deep in debts. He needs your support to save his girl. 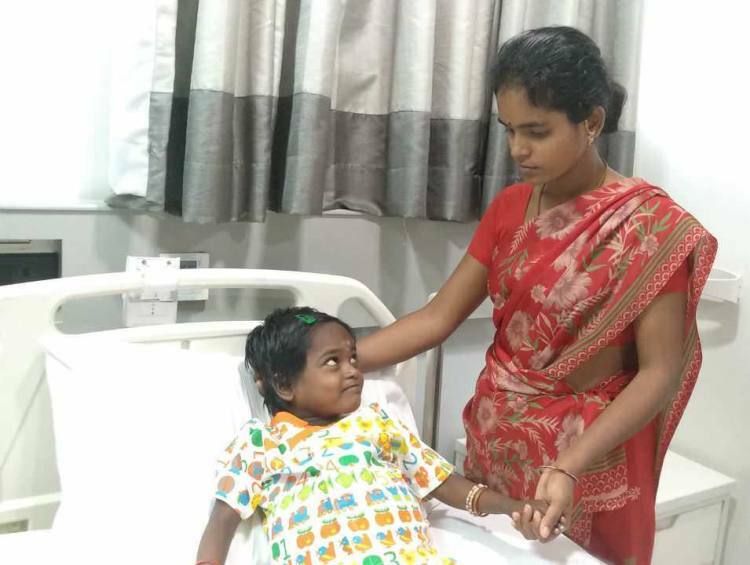 Your contributions can give Muthu Kavitha a second chance to live! With inexplicable grief, I'm having to inform you all that Muthu Kavitha passed away on March 31st. She had undergone a heart operation on March 30th and we were all hoping for her to recover and get well but her body couldn't endure and we lost her the next day. This saddens us while writing this. However, we will all forever be grateful to you. Thank you all once again. By God's grace you will recover soon with good health Muthu Kavitha. Our prayers and good wishes are with you brave little girl.